Florida Dept. 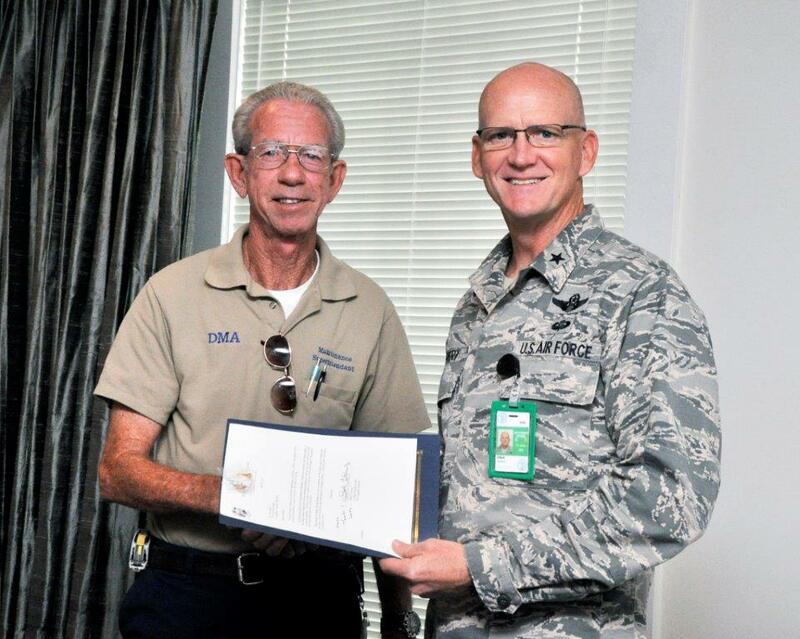 of Military Affairs’ Larry Jarriel is congratulated for his 25 years of service to the State of Florida by Florida Assistant Adjutant General for Air, Brig. Gen. James Eifert, at Saint Francis Barracks, St. Augustine, Sept. 19. Jarriel is Maintenance Superintendent at the historical facilities of the Dept. of Military Affairs’ and Florida National Guard Headquarters at Saint Francis Barracks and was commended by Gen. Eifert for his superb service. Florida Dept. 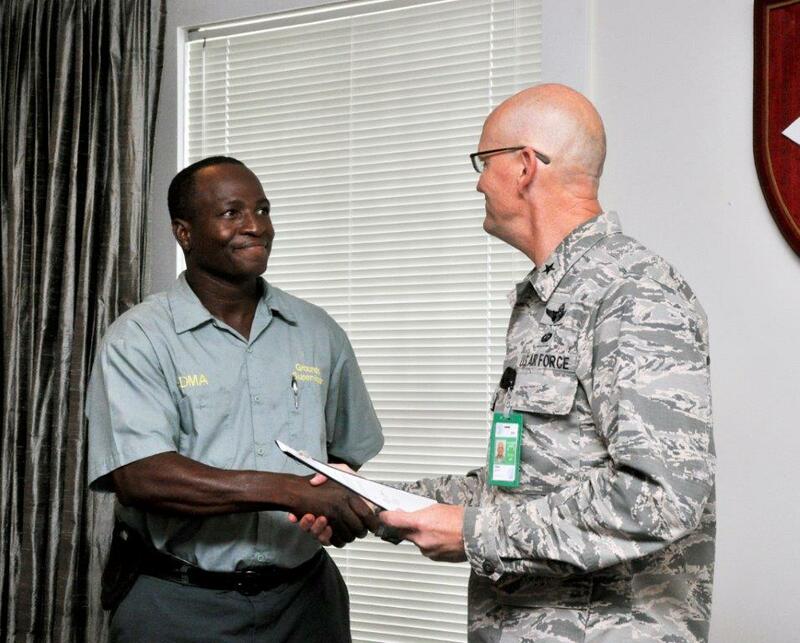 of Military Affairs’ Willie Lee is congratulated for his 25 years of service to the State of Florida by Florida Assistant Adjutant General for Air, Brig. Gen. James Eifert, at Saint Francis Barracks, St. Augustine, Sept. 19. Lee is Grounds Supervisor at the historical facilities of the Dept. of Military Affairs’ and Florida National Guard Headquarters at Saint Francis Barracks and was commended by Gen. Eifert for his superb service.